Epic Skater is a fun, free, side-scroller runner where players earn extra points for tricks, grinds and more. There are a lot of side-scrollers out there, and you may think that if you’ve played one, you’ve played them all. Although the gem collecting aspect in Epic Skater reminds a lot of Jetpack Joyride, the tricks and grinds are fun and unique. 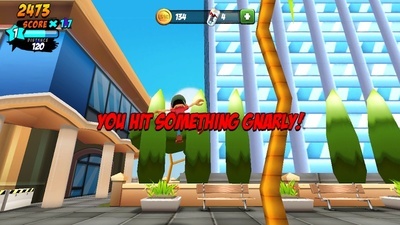 Players try to survive as long as possible on their skateboard. You get bonuses for jumping over obstacles, performing tricks and gathering coins. Games only last until you crash into an obstacle or when you fail to complete a trick and fall off the board. When I first tried Epic Skater, I was relatively disappointed because the game was so hard. I was dieing within 10 seconds. 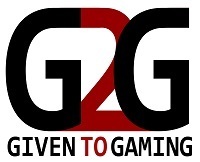 There is a training mode, which will teach you the basics of the game. Unfortunately putting these newly learned skills into practice is near impossible. I constantly crashed my skater whenever I tried a trick until I had built up enough coins to upgrade my ollie skills. Once I had done that, the game became a lot more fun. 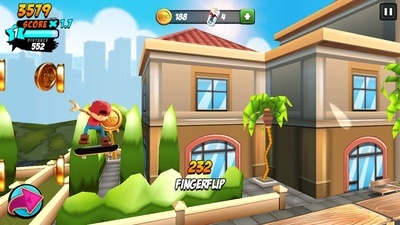 Players can do trick and navigate through multiple terrains including city streets, rooftops and underground tunnels. There are also all kinds of surfaces to grind, from simple bike racks and stair rails to store canopies and more. There are a total of 25 tricks to master with extra points available for trick combos done in a single jump. Despite being really fun, Epic Skater could still use a few technical improvements. The game crashes when players attempt to unpause on iOS devices. The game must be force closed, and started up again.There were some lag issue when played on my iPhone 5c. 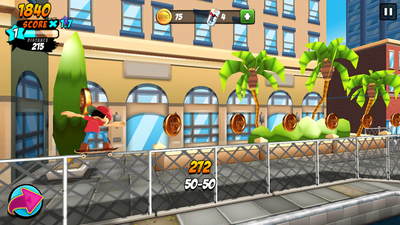 The game is also 100% static, which means the coins, obstacles and buildings are always in the same place. That is one thing that makers, Kongregate, could learn from Half Brick. 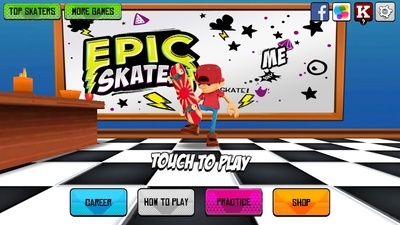 Epic Skater is certainly worth a try and with a few updates, it will be a staple app for many mobile gamers.